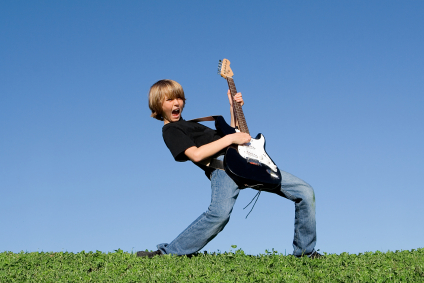 You deserve to have fun learning to play guitar. Let me remove your frustrations and show you how learning to play guitar can be a joy instead of a nightmare! At Vivrette Guitar Academy, we have a unique approach to guitar lessons and teaching. No cookie cutter lessons here. Click on the picture above to find out more about guitar lessons at Vivrette Guitar Academy or you can go here to contact me right away and find out how you can get started playing guitar! 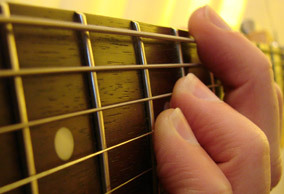 We could go on and on about the benefits of learning to play guitar at Vivrette Guitar Academy. However, nothing compares to hearing actual students discuss their lesson experience first hand. Instruction is tailored to the needs of each student, and we develop lessons according to your goals. 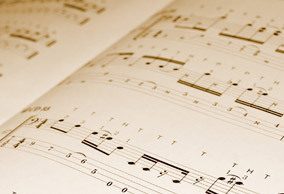 See what some of our students are learning in our guitar teaching articles that we publish online. At Vivrette Guitar Academy, we pride ourselves on letting our students benefit by having professional, state of the art audio recording equipment at our studio. This enables us to record our students and they are then able to enjoy listening to recordings of themselves playing and hear for themselves just how much they are improving. Hear samples of students playing at Vivrette Guitar Academy, along with other interesting audio and video by clicking on the picture above.